Megalomania is defined as “a psychopathological condition characterized by delusional fantasies of power, relevance, omnipotence, and by inflated self-esteem”. Sounds familiar, right? 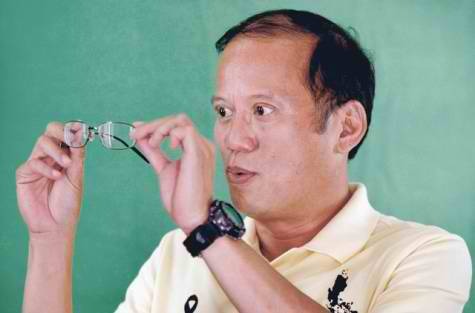 Megalomania comes to mind as we read and try to understand the news about President BS Aquino’s desire for a term extension. Moreover, in the process of amending the Constitution to lift the ban on presidential term extensions, BS Aquino also said he supports limiting the powers of the Supreme Court. Some would argue that megalomania is a sign of lunacy on the part of BS Aquino. But I disagree. It is a sign that BS Aquino is allergic to and scared of accountability, be it through the impeachment process or post-presidency suits. He knows fully well that his privilege of immunity from suit ends on June 30, 2016. While his Liberal Party-led House majority may be able to kill the impeachment complaints seeking to hold him accountable for his unconstitutional P237-billion presidential pork barrel, nothing stops the public from suing him, Budget Secretary Butch Abad and their co-conspirators as soon as they leave office. A term extension would extend his immunity from suit and would mean six more years of malversing taxpayer money to create and dispense a presidential pork barrel. The “term extension” may mean “no elections”. BS Aquino and his minions alternately use “second term” and “term extensions” without any mention of elections. It seems that the Charter Change BS Aquino wants is one that would award him an automatic “second term” or “term extension” without the need for elections. Plot twist: This award would come from the very same Congress — assembled as a constituent assembly — that seems intent to deny us an impeachment process. But even if they change plans and bat for elections under a revised Constitution that allows a “second term”, we wonder where this overweening confidence of victory is coming from, except perhaps from the highly-possible use of presidential pork barrel and of all the resources and machinery of government. Left unchallenged, we may end up with a President-for-Life. With BS Aquino’s spin doctors and Yellow Army remnants proclaiming him as both the Chosen One and the Only One, there might be no end for “term extensions” and “second terms”. It assumes that there’s no one else fit to serve as president. It is also totally anti-democratic. Would the Charter Change only allow a second term? Would there be term limits at all? It is not the fault of the people if BS Aquino does not see any “winnable” candidate from within his Liberal Party that would continue his programs and policies. He has had four years to prepare such a protege but all the public sees are a Boy Epal and a Pork Barrel King. It is not our fault either if BS Aquino and his minions apparently only see the word “King” when people call him “Pork Barrel King”. Downgrading the powers of the Supreme Court looks like a march towards authoritarianism. Instead of accepting the ruling of the Supreme Court outlawing the practices that made his pork barrel possible, BS Aquino lays down an authoritarian plan to downgrade its powers. It seems BS Aquino wants a less-independent and more-pliant Supreme Court that would merely bless his every whim and caprice. How arrogant — and dangerous too. In this case, the megalomaniacal desire is most intense and transparent. BS Aquino not only thinks he is the best and only choice beyond 2016, he also wants to tamper with the Constitution to get the type of Supreme Court and court decisions he wants. Casting aside megalomanical aspects of BS Aquino’s desires, we are left with this toxic combo: The stubborn refusal to be held accountable, the quest to be “awarded” a term extension, an option for a President-for-Life, the suspension of elections, the planned use of the advantages of incumbency to steal the 2016 elections, and the plan to cut down the powers and duties of the highest court. It is a combo so dangerous and so anti-democratic that it demands be debunked and defeated. This is not the kind of change we want and need. This is madness. Author’s Note: First published in my column in the Manila Bulletin. This is slightly-edited version.